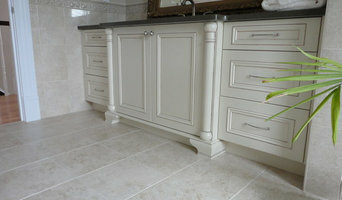 A & R Cabinetry Ltd.
A & R Cabinetry is located in Charlottetown, Prince Edward Island. Owned and operated by Andrew MacPhail & Robbie McLean. 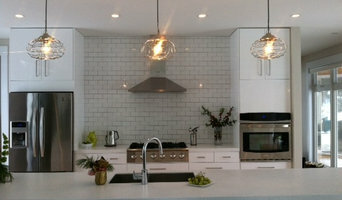 Specializing in custom cabinetry and countertops. Our customers satisfaction is our # 1 priority. Our mission is to ensure only the finest quality possible. ◾This high level of quality is reflected in our design, installation and follow-up. ◾Attention to detail starts with the very first call. ◾The design process is done in combination with pricing to get exactly what you wish for. ◾Your initial contact person will be part of the construction and installation of your kitchen and will be there for any follow-up questions you have. Magnolia Cabinets are not “out of the box”; they are one-of-a-kind masterpieces that will impress the most discerning critics. ◾Your Magnolia kitchen will truly be “custom” which means nothing is picked out of a list. ◾We offer traditional to modern kitchen design with original turnings, carvings, moldings and doors. ◾Creativity is an important and integral part of our cabinetry; some are designed to look like furniture and less like standard kitchens. ◾Our materials are hand-picked from local suppliers and are of the finest quality. Since 1996, Refined Cabinets Inc. has been offering a wide range of cabinetry services custom built with precision and excellence. Our shop uses state of the art technology including realistic 3D design renderings and CNC (computer controlled cutting) equipment. We pride ourselves in personalized service working directly with our clients to create a beautiful and functional design that works for your home or business needs. Contact us today for more information! Since its’ beginnings in early 1980, in a one man shop (garage), Hodgson Kitchen has become fairly well known in the northern half of Nova Scotia for good quality, well designed and professionally installed cabinets. 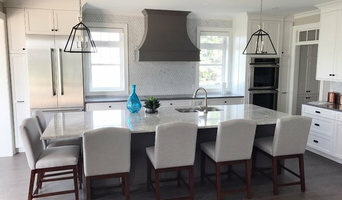 This kitchen and woodworking company is also known for excellence in design of fireplace mantles with entertainment components, office layouts with computer compatibility, and many other miscellaneous projects, too numerous to mention. Studio L Interiors is a full scope interior design firm servicing the residential, commercial an hospitality markets. We can take your project from concept to completion regardless of how big or small it is. Full interior and exterior design and decorating services. Project management, construction management, new home design, furniture , drapery, blinds, Celebrating 40 years in business.